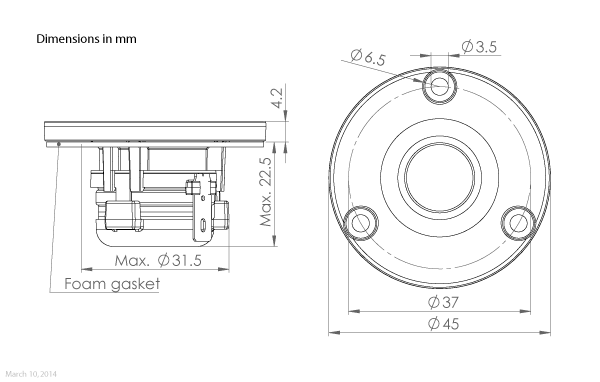 TW013WA01 is a very compact high performance tweeter that is ideal either as a super tweeter in high-end Hi Fi speakers or as tweeter in very small compact 2-way systems. Despite being designed for ultimate high frequency performance no compromise has been accepted at the lower frequencies either. The TW013WA01 incorporates an external ring neodymium magnet, which allows effective venting through the center pole to a rear volume. 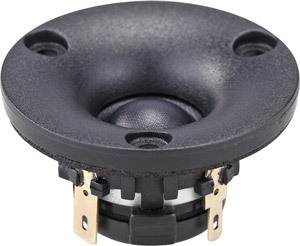 It means that the TW013WA01 offers a very low resonance frequency for its size - even lower than many larger tweeters. 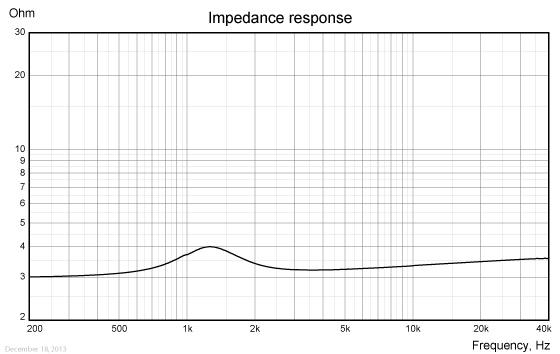 Power handling, short term, IEC 268-5, 6 kHz@12dB/oct. 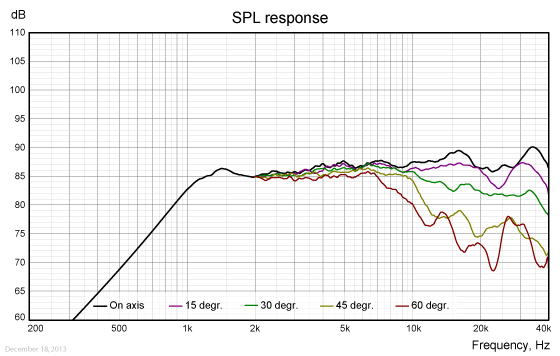 Power handling, long term, IEC 268-5, 6 kHz@12dB/oct. Power handling, continuous, IEC 268-5, 6 kHz@12dB/oct. Tested in free air (no cabinet, no baffle). Measured before burn in. The unit is not burned in before shipping.